Brand New for the coming Season. 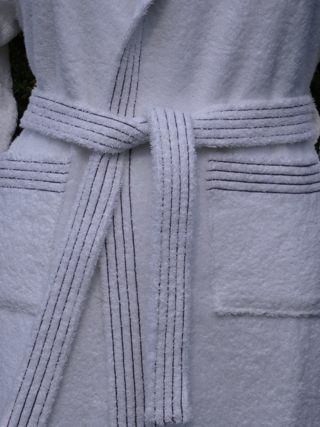 We have combined the luxury of pure 100% Cotton Turkish Towelling with the craftsmenship of our factory in Bulgaria to produce these brilliant value classic Terry Hooded robes in a choice of 7 colours across 4 sizes with contrasting stitching to front and belt. Please look closely at the size diagrams as these robes are styled to European sizes and are not as generously cut as some of our other ranges.